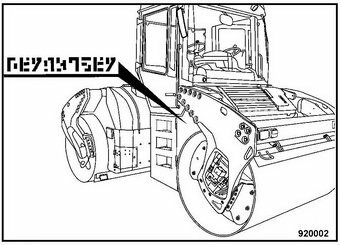 Use the menu below to select the appropriate BOMAG Machinery. BOMAG Machinery Service & Operation Manuals and Spare Parts Catalogs Video presentation. 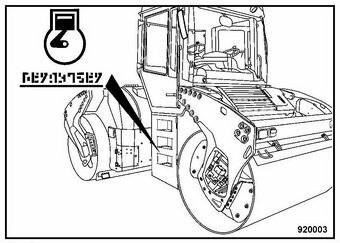 Important remark: If you need spare parts catalog for Bomag Machine you have to inform us the full and correct Machine model and serial number. 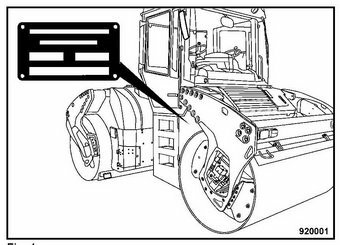 Please see the picture below where you can find the model and serial number on Bomag Rollers. If the table is lost you can find the serial number of the Machine near the table place on the body. Machine Serial Number on the body. It will be very good if you inform the engine model and serial number also.